Crackpot science, sometimes called pseudoscience or “Cargo Cult” science, has a long and colorful history, and there’s a lot of it out there. I’m not even going to get started on the tachyon crystals, facilitated communicators, modern day Mesmerizers, homeopathic healers, young-earthers, Laundry Balls, and the like. And I’m not going to step in and get my shoes dirty by wading around in the hoax of evangelical scientism — the belief that doing good science is equivalent to divining The Truth. I’ll just highlight a few of the more or less notorious products of nuts in white lab coats here. A perpetual favorite invention of the crack scientist is the Perpetual Motion Machine. The never-ending (spiritual?) 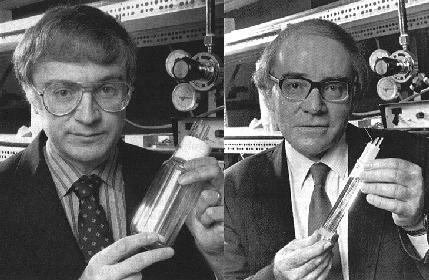 quest for a free lunch energy-wise also led to Pons and Fleischmann announcing (prematurely) the discovery of cheap and easy cold fusion. And while we’re on the subject of physics, another famous event in the history of pathological science was René Prosper Blondlot’s discovery of N-Rays. See also: polywater and structured water. Jan Hendrik Schön of Bell Labs was at the top of the world at the beginning of this century, with breakthrough discoveries about electrical conductivity in normally nonconductive materials. But in his hubris, he fabricated data, and when other physicists were unable to replicate his results, the whole game fell apart. Oh yeah, and remember Element 118? A special digression is in order here for crackpot city planning. I’m thinking here of the brilliant hack of the early 1800s perpetrated by a fellow named Lozier, who managed to convince a sizable crowd of New Yorkers that Manhattan was in imminent danger of tipping over under the weight of sprawling construction. After a few days, Lozier came up with the plan of cutting the island loose, towing it out into the Atlantic, turning it around and reattaching it to the mainland. He enlisted (I’m not kidding, folks) hundreds of people in this wacky scheme. Scientists can make fun of the nut job creationists all they want, but the peppered moth whose photo has been shown to countless students as evidence of evolution through natural selection turns out to have been a fraud. On the medical front, snake-oil salesmen have been a colorful part of the American landscape since the beginning. One of the best and brightest was Dr. John Romulus Brinkley whose name will be forever associated with the goat glands he surgically installed in the scrota of men who wanted to be as horny as the hooved ones. He rode the goat gland craze to media and political power, and remains perhaps the king of American quacks. Don’t miss our special report on Dr. Drown’s Homo-Vibra Ray and the many modern uses of radionics. Take a look at the weight-reduction eyeglasses and the foot-pumped breast enlarger at The Museum of Questionable Medical Devices. Or catch up on your phrenology. Speaking of questionable devices, there are law enforcement agencies in the U.S.A. who spent $8,000 for a plastic box with an antenna that was advertised as having frankly miraculous abilities of crime detection. I wonder how many search warrants were issued based on the findings of the Quadro QRS 250G. Dr. William Osler, Professor of Medicine at Johns Hopkins University, liked to invent curious sexually-related medical scenarios and submit them as letters to medical journals under the pseudonym Dr. Egerton Yorrick Davis. A nice parody of pseudoscientific doomsaying is the ongoing tongue-in-cheek terrorist campaign to ban dihydrogen monoxide. In 2004, a city council in California almost fell for it and had on its agenda a law against H2O. Perhaps tongue-in-cheek, perhaps not, is the lonely and difficult road tread by Flat Earth types. The discovery / invention / manipulation of the “gentle” Tasaday, a stone-age tribe from the Philippine islands, is still being unraveled. Botanists and even the occasional ornithologist get into the act of scientific fraud (insert your favorite “for the birds” pun here). 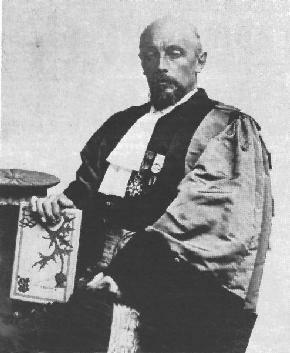 Biologist Paul Kammerer was one of the leading lights of biology in the 1920s, and helped extend the life of the (now discredited) theory of Lamarkian inheritance. His suicide after it was discovered that some of his experimental animals had been crudely faked forms one of the cautionary fables of scientific ethics. More recently, a biologist at Lawrence Berkeley Laboratory was accused of fudging data to boost his finding that the electromagnetic radiation from power lines could change the way cellular membranes operate. And Woo Suk Hwang got nailed in 2005 for faking the data behind his once-thought-to-be-groundbreaking cloning experiments. One of the investigators working for my hometown’s D.A. flew off to the People’s Republic of China to help teach the Chinese cops how to use lie detectors. At first, I was upset about this aiding and abetting of the state apparatus of the butchers of Tien’an’mien. Then I looked into polygraph tests and started to lighten up a bit. Time and again, I’ve been amazed that the capability for perception extends right down to the bacterial level. One sample of yogurt, for example, will react when another is being fed, as if to say, “That one’s getting food. Where is mine?” This happens with a fair degree of repeatability. Or if you drop antibiotics in the other sample, the first yogurt sample shows a huge response to the other’s death. And they needn’t even be the same kind of bacteria for this to occur. Which demonstrates the one hard-and-fast rule of the polygraph: it shows you what you want see. Like the dowsing rod, or Dr. Drown’s Homo-Vibra Ray, or the Scientologist’s E-meter, it is the principle of the placebo applied to the field of diagnostics. The District Attorney’s $15,000 (U.S.) dowsing rod may look like a scientific apparatus, but to the extent that it works — as my hometown paper’s alleged reporting would have it, the polygraph “has an accuracy rate of about 98 to 99 percent” — it does so by intimidating criminals into confessing with its flashy beeps and blinks. Unfortunately, it sometimes intimidates the innocent into confessing too. Accused of murder in Ohio, Floyd Fay failed a lie detector test. He’d still be serving his life sentence except that the real murderers were caught three years into his jail term. He’d figured that as an innocent man, he’d have nothing to fear from a lie detector test. He figured wrong. Lie detection has long been a holy grail of law enforcement — wouldn’t it be nice if you could separate the lies from the truths with Wonder Woman’s golden lasso or by dunking the witch in the pond? But it just doesn’t work that way. If there’s one consolation to knowing that pseudoscientific wishful thinking is playing a starring role in our legal process, it’s knowing that the brutal thugs who carried out the Tien’an’mien Square massacre will be wasting their time and money on it too. Also worth mentioning here is Alan Sokal’s Social Text hoax, in which the physics professor wrote a paper on how modern physics and postmodern philosophy now agree that nothing exists. Perhaps he was right about that, but he didn’t actually believe any of it, he just was trying to throw together a bunch of pomo gibberish with lots of footnotes to see if they’d publish it. Could the obscuricists get revenge on the physicists for this insult? Some say they already have. Big trouble in the world of "Big Physics"